Hello Happy Site Owners. 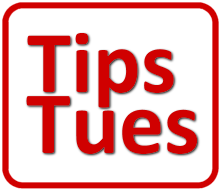 This is the BlogAid Tips Tuesday Podcast for December 17 2013 and I’m your host MaAnna. This week’s tips include early booking for a site audit special, WordPress certification, curating year end posts, a new group for site success, how to get in writing mode when you work from home, offsite content that performs well, the future of content marketing for 2014, how Pinterest can outperform your blog, how Google looks at a search query and how that will change the way you blog, how everyone can make better YouTube videos, and a super fun animation effect for dessert. So let’s dive in. Listen to the podcast. It’s my annual Site Audit Special time again. I run this 20-point inspection every year the week between the holidays, and it always books solid. You know you need it. You know you’ve been meaning to do it. Now’s the time to get it at a discount. Put a qualified set of geek eyes on your site. We do it live via screen share and phone. You don’t have to give me any logins. And you see what I see. I’ll give you a written report immediately after, so you don’t have to take a bunch of notes either. And we’ll fix all we can right then and there. Book early to get your preferred time slot. Be sure to see my video on all of the new features, plus how to use them. How did your site fare with the upgrade? Have you done it yet? Did you have automatic updates turned on? If so, then it’s not upgraded yet. Those are for incremental upgrades only. Or, are you on managed hosting and it got pushed to your site, like it or not. I’ve updated all of my sites and been looking at the plugin support logs to see if bunches are folks are having trouble with anything. Glad to report that I’m not seeing any. Of course, there will always be some, but not mass reportings. Did you have any trouble? Leave us a comment and let us know what it was and what fixed it, if anything, yet. WordPress Certification. That’s the topic of this post on Torque. The comments are as interesting as the post. The way I read them, the upstanding developers are against it. But folks like me, who make the majority of their living working with clients after they get burned by flimflam companies, or from not being able to properly vet who they were hiring, are in favor of it. I did key on one comment in particular, and it is so true it hurts. And that was from a developer saying how many clients are looking for a low-budget deal and don’t appreciate the value of a website. I honestly have stopped trying to make my one-on-one time affordable to people with that mindset because honestly, that is what is keeping them from making real money online, not how much things cost. I do have entry-level resources like a whole site of info and resources for free, and YouTube videos for free, and the $1 WordPress Video Library. But, I save my in-person time to be with folks who are serious about their success and who already see how much cheap, free, or generic info is costing them. They are ready to invest in their success, and that starts with becoming a knowledgeable site owner. And that includes fully wielding the power of WordPress, SEO, content, and conversion. This is a super idea from +Jimmie Lanely. And there’s still time for you to put one together, if you hurry. Jimmie gives you some excellent tips to help you collect your best posts from all sources, and some great tips on ways to format them too. And I’m taking this idea one step further. Knowing what content performs best on your site is critical to your success. Taking a look at your analytics on a regular basis will give you that feedback all the year. So, for 2014, I’m starting a group that will help you do things like setup your analytics in a meaningful way, and remind you to check them and take note of what’s happening on your site. So, be sure to subscribe BlogAid News as that’s where I’ll announce the details first. For those of you who are training clients and/or members of the VIP Video Library, you’re going to get some special perks in this group. I know a lot of the folks who follow BlogAid are working from a home office. Maybe you have kids or schedules that you have to keep on behalf of others. Sometimes distraction, or the lack of fresh interaction may interfere with you writing for your blog. This post by Stacey Roberts on ProBlogger has lots of tips to help with that. And they include ways to get you over what seems to be a really big hurdle for a lot of folks, and that’s staring at a blank page when you finally do have some time for writing. Your site is not the only place you can post and garner some serious SEO and traffic. I got pretty excited when I saw this a most excellent post from David Gould on the Vertical Measures blog. He calls out two offsite platforms that already give big bang for the buck and they’re only going to get bigger through next year. They are G+ and SlideShare. Now, +Mark Traphagen posted recently that authorship is no longer showing for SlideShare. But, it may very well come back, as it was there before and Google may just be tweaking their algorithm. Mark’s post has a link to his SlideShare that shows you how to connect it for authorship. Go do that so you’ll be ready when it comes back. If you’re a content marketer, don’t you wish you had a crystal ball to see where the new traffic generation leads will be for you in 2014? Well, Stephanie Chang does her best to give you that peek into the future in her excellent post on the Moz blog. There are four major trends happening, and you really need to see the stat graphs on the post to get a real sense of how fast some of this is changing. But I’ll tell you now what stood out to me was how important it has become to experiment with a serious presence on other platforms and to integrate your content across them. This goes beyond the usual social media perks. And I know a lot of us lament that there just isn’t enough time in the day to pick up another platform. I’m telling you, either make the time or find a way to outsource it. That’s exactly what I’ll be doing in 2014 because I fully realize how much it’s costing me not to do it. My primary focus is going to be on YouTube and SlideShare, since they are either something I already do, or close to it. And then really beef up my posting and presence on G+. And then I’ve got to find a way to make use of Pinterest. And you better believe that I’m going to be more than willing to pay someone to help me accelerate the learning curve on that. I know how much it’s costing me not to be there. I want to challenge you to seriously consider how much it’s costing you to continue to suffer from what you know that you don’t know, or what you don’t even know that you don’t know. I’ve got some eye-popping case studies in the works about the innards of what it took to turn some sites around and make them even more successful. And we’ll be doing interviews with the site owners too. So, look for those in the coming months. I can tell you right now that the money I paid for the first phase of the BlogAid revamp has already come back 130%. It took two months for it to do that. Some things are worth paying for. Just ask any of my clients. And if you want to check out just one of the case studies that has motivated me to finally get on Pinterest no matter what it takes, see this Hangout on Air from +Denise Wakeman’s Adventures in Visibility series with guest +Joan Stewart. I’ve been following Joan since I found her several years ago prior to the publication of my book, and she knows a thing or two about marketing, especially for authors. When she said that her Pinterest posts were outranking her blog, it turned my head. So go give it a listen, and consider subscribing to Denise’s series, plus seeing a few of the recent HOAs while you’re there. She has on some fabulous guests, including +Mike Alton recently. He’s a Hootsuite ninja, and super great guy. This post on the SEO Copywriting site may seem a little dry to anyone not neck deep in semantic search. But, if you don’t read anything else, be sure you see the last two paragraphs. As a content producer, you must now make yourself aware that semantic search and topic authority are already in play, and how you write for the web needs to take that into consideration or your site is just not going to do well in Google anymore. If you think these are things you can afford to just keep putting on ignore, hear this. Business on BlogAid doubled in a single day due to a post hitting the front page of Google. And the reason that post showed up as #2, right under a post from Mashable, was due to authority and semantic search. SEO, authorship, and posting on G+ all played a hand in that ranking too. +Ileane Smith is one of my fave folks and she always has super helpful tips on her Basic Blog Tips site, including those from select guest bloggers. If you have started doing videos or want to start, you’re going to love this post from Chip Dizard. The tips are not all about techie stuff and gear either. They’re also about how to be comfortable on camera so that your message shines through. Just in time for the holidays, Google+ has added a couple of new animation features to Auto Awesome. One is for a twinkle effect, and the other is for snow. Have fun making those shots of your tree even more sparkly. Or animate the ones of your kids building snowmen in the yard.